The existing 75-year-old water tower was discovered to be structurally unsound and did not provide sufficient capacity to meet the current or long term needs of the community. A looping of the water main was desperately needed to improve water pressure and water quality to village residents, and a new water main extension was required to serve future occupants of the village’s Northwest Industrial Park. Kunkel Engineering spearheaded the efforts to obtain a Community Development Block Grant (CDBG) that was used to fund nearly 50 percent of all project costs, thus alleviating some of the associated funding burden for utility customers in the village. The final project consisted of improvements to water storage and distribution systems that included relays and looping of the water main. 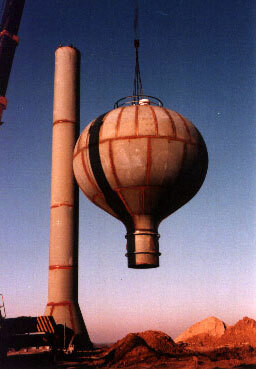 Additionally a new 200,000 gallon water tower and telemetry system were installed.